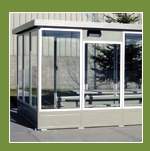 Harrelson Modular is proud to introduce a new product to our prefabricated guardhouse line. 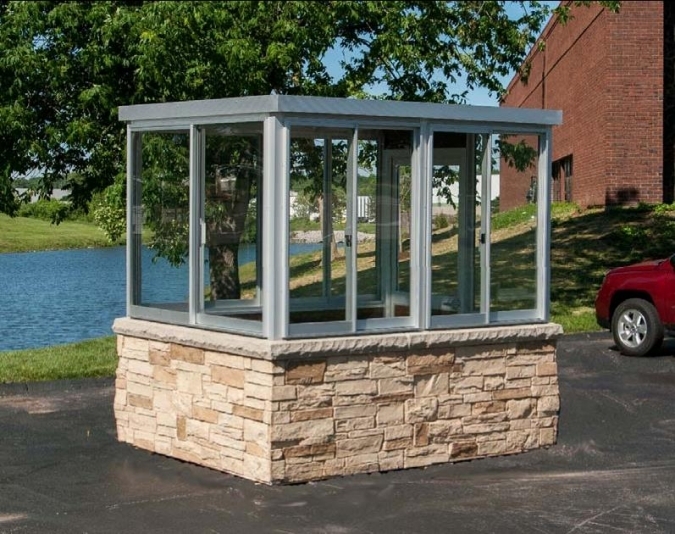 In addition to faux brick, we are now offering a faux stone exterior finish. The great thing about these finishes is getting a higher end look for an affordable price. Adding the faux stone will also add R-value to your building as well. The stone is applied to lower walls and the corners are mitered. The corners are then filled with a special compound and finished to match the stone. This gives the appearnce of a seamless corner. This is just another great way to get your guardhouse looking top notch!